This small dragonfly is one of the treasure trove of summer insects I found in the fog at sunrise the other week. The delicate wings reminded me of stained glass by the way it was backlit in the swirling fog. A Last Dance of Summer. The wings capture and highlight the light brilliantly. I’m guessing you had to be quick. Thank you. I was lucky when I found it as sun had just risen so dragonfly was cold and slow. Beautiful! 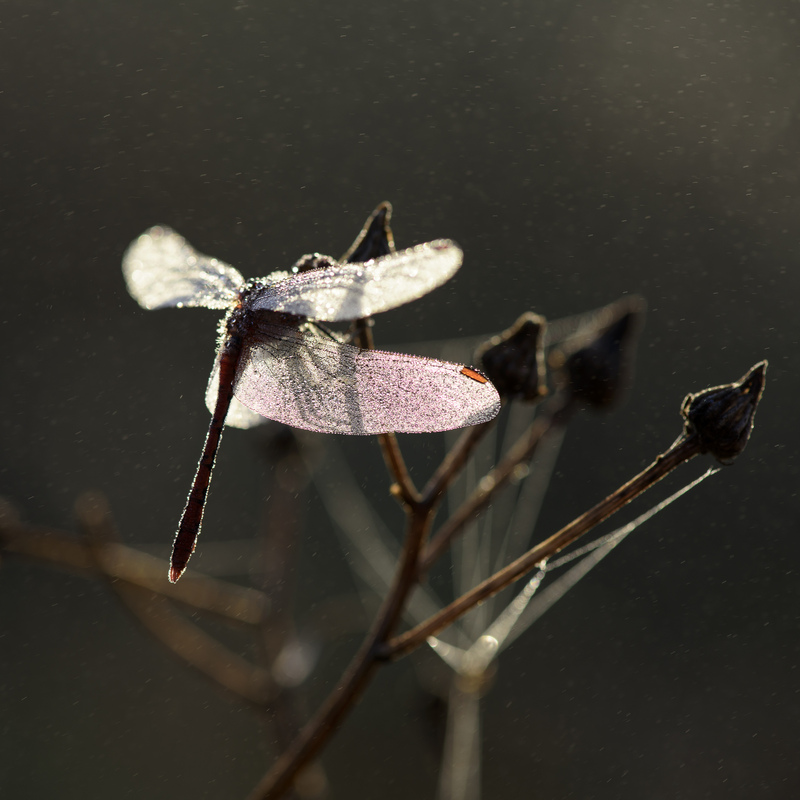 I love how you have captured the light shining through the delicate wings, Lisa! That backlighting makes for an amazing shot, Lisa. Right place, right time (and great capture). wow Lisa, another amazing natural moment captured. beautiful ! Always exquisite! So lovely to hear from you and wow, I love your dragonfly. You must have enjoyed your discovery. Love your title. Time seems to be more scarce presently. It is the same for me 😀 Hello! I have also been busy moving, selling house and much more. But now I’m trying to catch up blogging again…..